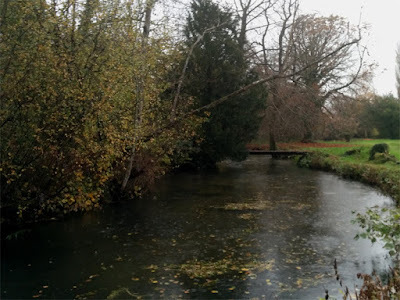 After a 4am start me and James headed south to the Test Valley and onto a beautiful little chalk stream, we'd been looking forward to it for a couple of weeks and had made very different plans. James headed off in search of grayling, I walked in the opposite direction in search of pike. 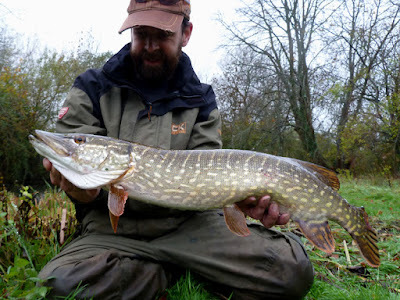 The pike here don't grow into large proportions, no twenties, in fact a scraper double is the upper limit - but I find it fascinating stalking them in the gin-clear water, watching them stalk & strike the bait and on a light lure set up they fight like stink! 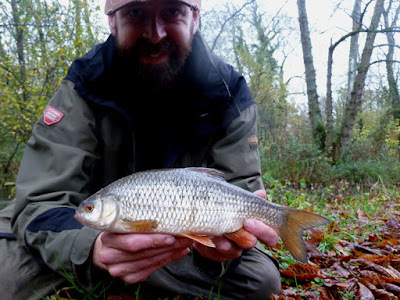 Wobbled sprat was the method and it was brilliant watching them hit the bait, sizing it up and engulfing it. One cast was hit by a jack who instantly spat it out only for the jack right behind it to take it. Another one bombed downstream to take it inches in front of the one I was targeting - I wonder what happens when we can't see the bait? In all I hooked 8 jacks and landed 6 of them, all except one could be unhooked without forceps. Sight fishing at its best. 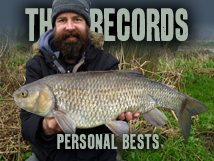 And some fish to add to the Predator Challenge; 5½lb, 3lb, 2lb, 6lb, 4lb and 2lb - a total of 22½lb. There were a few showers throughout the morning and the water clarity was dropping, when I hit and landed a trout on a sprat it was time to put the pike gear away - next target was roach on the pin. I had already spotted a shoal while searching for pike - and it didn't take long before I banked an 8oz fish - I knew there were bigger. And I found a couple, 1lb 1oz above and 1lb 0oz below - two over a pound! And another one about 4oz before I seemed to spook the shoal. James phoned and I told him I was into the roach - Batman couldn't have got there quicker! Roachman was on the case, but they didn't want to play - I think it took over an hour or so until I heard James shout 'LUMP'. I went running with the net but it was all under control - what a fish, but I'll leave it to his blog. Shortly afterwards I got my chance, one of the big girls, but she shed the hook - I think the term sounds something like 'clucking bell'. By now the heavens had really opened, it looked like the rain was set for the day - I left Roachman™ to it and went to find a grayling or two before the shallow water was too dirty to avoid the trout. And I did, landing half a dozen or so to just over a pound - and didn't get a single photo - jumpy, twisty bastards! Great fun! 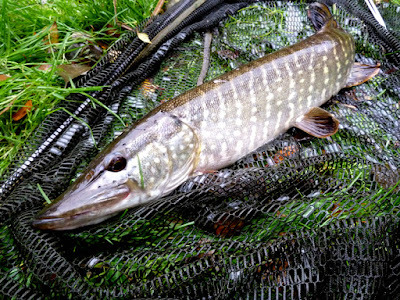 Soaked through and running out of daylight James went after another shoal of roach he'd spotted and I went to catch a little jack I'd seen in a side stream - and it would have worked had I not tried to swing him in instead of netting him, only about ¾lb - but a pike is a pike. All in a brilliant day. Thanks James, thanks Chris. The only question that remains: now that all my radiators are covered in wet fishing kit - where is my cat going to sleep? Fantastic. What pristine looking fish. A rather splendid way to waste a day. I love chalk stream fish, would love to catch one of the rare perch, the clear water seems to make everything beautiful. It's a little slice of heaven but I fear it's not going to last - the otters have arrived. Or should I say; been introduced into systems that cannot support them by idiots who think we need more fluffy cute wildlife in Britain - hang the consequences. 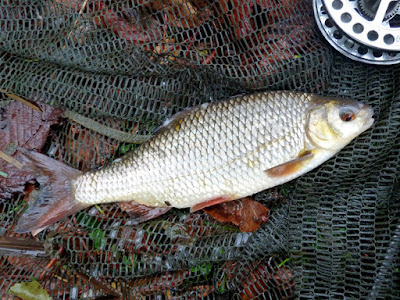 In under a year they have killed the river record pike (14lb) and have set about thinning out the trout, grayling and roach. 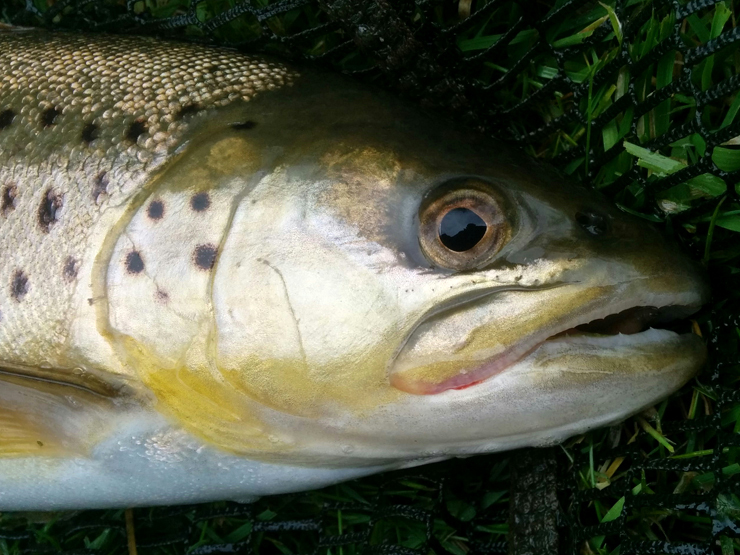 The trout will get restocked but the other species are in decline with no end in sight. What is worse is there is nothing anyone can do about it, you can't fence off a wild river - and shooting the otters is illegal and carries a prison sentence. Unfortunately they are going to have to wipe out some systems (and starve to death themselves) before the non-angling public even notice. A rant it maybe Brian but a very valid point, in an environment as small as that the sustaining of an Otter population just won't end well for both the fish or the Otters, I suspect that if they started raiding Dever Springs or another prestigious Trout fishery something will soon get done about it. Again the angling population has to suffer whilst the air-headed dimwits that re-introduced then continue on as if nothing is happening. Prison sentence.....should get a medal for everyone dispatched, strong words but intervention is needed before they just become baron waters. Back to the matter of fishing, that was a good day yesterday mate and I enjoyed almost as much as I usually do. The weather tried to annoy me but the Roach saw most of that disappear in an instant!, could you imagine had I had lost that fish?. I'm not a fan of echoing a (very valid) rant that is floating around the angling community, but in a year's time that system will be in real danger. The trout will be restocked but that's not what we are after - in fact we try and avoid them. It would be a great shame to find a slice of heaven only to have it destroyed before our eyes - I hope I'm wrong. And the fishing, I had a great day - all day, I just love catching fish - the big ones are just a bonus. There is an inherent problem with being a specimen hunter, you need to find the big ones... But what a roach! I want one! !